Unlock Samsung Omnia W I8350 - Safe IMEI Unlocking Codes for You! Unlock Samsung Omnia W I8350 Handset! In case your Omnia W I8350 doesn't ask for the code and there is no designated field to enter it, please DON'T PLACE ANY ORDER, contact us first for support. Unlock now your Samsung Omnia W I8350 phone and enjoy using it with Any GSM SIM Card worldwide! How to Unlock Samsung Omnia W I8350 Phone - Tutorial! 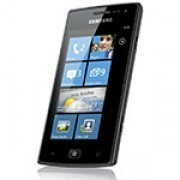 Please find bellow a step-by-step guide to follow in order to unlock your Samsung Omnia W I8350 handset.